We went on a walk around the trails near our house this evening. Not quite the hikes we had in Colorado, but not too bad. 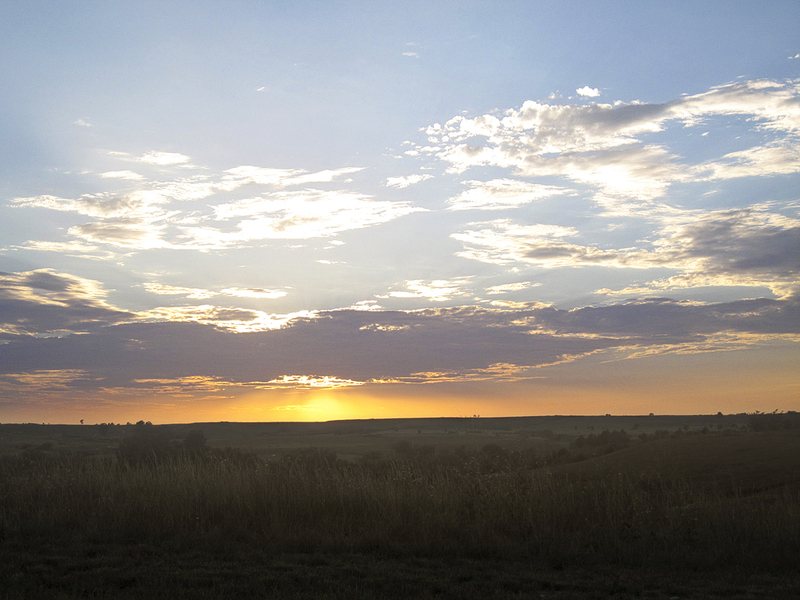 Here’s a very Kansas sunset view, even if it is looking out over the golf course.